Did Orange County law enforcement agencies conspire to break the law? SANTA ANA, Calif. (KABC) -- Oscar Moriel is an unlikely ally of law enforcement. The former member of the Mexican Mafia is awaiting trial in Orange County for a 2005 attempted murder and has admitted on the witness stand that's he's killed at least six people. Testifying under a grant of immunity last year, Moriel recounted how he and fellow gang members "went out hunting" for their victims. In February 2009, Moriel was looking at possible life in prison when he summoned Santa Ana Police Department Detectives Chuck Flynn and David Rondou to the Orange County jail. Moriel was ready to turn informant. "I'm putting my life on the line, my life in jeopardy, my family's life in jeopardy," Moriel told the detectives in the once-secret jailhouse recordings obtained by Eyewitness News. Moriel observes that the detectives appear to be "stumped" in their efforts to solve two cold-case murders. He expresses concern that law enforcement "manpower" and "taxpayer money" have so far failed to put the killers behind bars. "I think I can do it pretty solid," Moriel says. "I think I could smash the whole case and put the guy away or the people away." Moriel offers to help detectives crack the cases, but his "memory" remains a little fuzzy. "Yeah, we're gonna have to meet halfway here," Moriel says. "What that means is, I might be able to help you out if my memory can fall back into place. It might not be able to fall back in place because it's a long time ago... people forget. But if I can grab spots of my memory and make it seem like it like it was yesterday... then, that's what I'm going through here right now." Moriel wants the detectives to reach out to higher-ups in the Orange County District Attorney's Office. Maybe they can "pull some strings" on Moriel's attempted murder case. "So, you're looking for some consideration in exchange for information on two unsolved murders?" asks Detective Flynn. Moriel suggests that having some "options" on the table in his own case might help him think more clearly. "I'm looking at a third strike, I'm looking at life in prison," Moriel says. "So, the more options I have to work with and to choose from, the better position I'll be in to think more clearly." Detectives tell Moriel they don't have the authority to make a deal with him, but they can take his information to the people who do. "You'll get consideration for the level you perform," Detective Flynn tells Moriel. Five months later, Detective Flynn meets with Moriel again. This time, he's accompanied by Orange County Sheriff's Deputies Bill Grover and Ben Garcia. By then, Moriel is hopeful, not just that he'll be freed, but maybe... he could join the military? "Do you think it's possible after all this is done, if you guys can expunge my record and I can go into the military?" Moriel asks. Detective Flynn admits that expunging Moriel's lengthy criminal record would be tough, but joining the military might be possible with a recommendation from law enforcement. "But that doesn't mean you need an expungement," says Detective Flynn. "Just means you need a letter. We'll do one and Tony's side of the house will do one," Flynn says apparently referring to Moriel's FBI handler Tony Garcia. Deputy Grover questions Moriel's motivation for wanting to join the armed forces. "So, you want to legally kill some people?" Deputy Grover asks. "Yeah, I want to go fight, I want to go fight, if that's possible," Moriel replies. "It's much nicer when Uncle Sam is behind you on it," says Detective Flynn. "That's what I figured," Moriel says. Nearly nine years after his arrest, Moriel still hasn't even had a trial on his own charges. But he's been busy, gathering jailhouse confessions and information in a string of cases. On the face of it, using jailhouse informants is legal. But those informants must not question charged suspects on behalf of police. And any evidence that an informant gathers, must be turned over to defense attorneys. The once-secret jailhouse recordings should have been turned over in every case Moriel had a hand in, but they were not. The recordings only came to light after a years-long investigation by Scott Sanders, the public defender for confessed mass killer Scott Dekraai. Dekraai shot and killed eight people, including his ex-wife in October of 2011. A ninth person was critically injured. 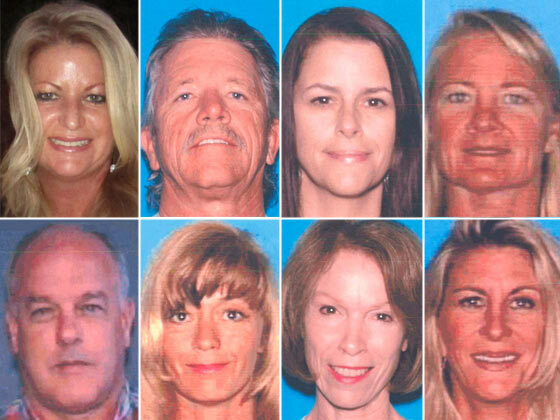 The Seal Beach rampage remains Orange County's deadliest mass shooting. Dekraai confessed to police shortly after his arrest. He later confessed again to prolific jailhouse snitch Fernando Perez. Sanders thought it was too much of a coincidence that Perez had managed to secure confessions from his two very high-profile defendants, Dekraai and actor turned double-murderer Daniel Wozniak. Sanders launched an extensive investigation into the history of Orange County law enforcement and the murky world of jailhouse informants. 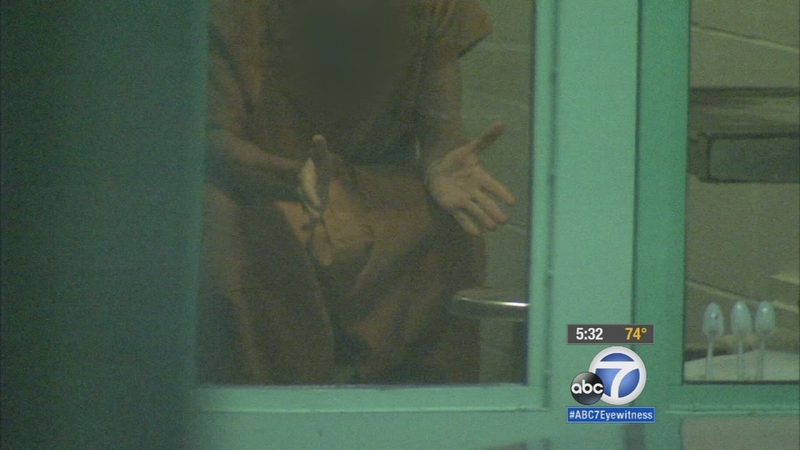 The public defender uncovered what he alleges is a decades-long conspiracy among Orange County law enforcement to elicit illegal jailhouse confessions and hide evidence, including once-secret jailhouse records known as "TRED." Orange County District Attorney Tony Rackauckas admits to some isolated, unintentional mistakes, but says his office didn't know about the TRED records except in one case. "The truth of the matter is we have not been privy to those records in our cases," Rackauckas told Eyewitness News. That flies in the face of what Orange County Sheriff Sandra Hutchens told Eyewitness News about the disputed "TRED" records. "There's no secret about it. Certainly the District Attorney's Office has known about it for years," says Sheriff Hutchens. TRED records are key to this controversy because they can show who moved an inmate and why. For instance, was a jailhouse informant deliberately moved to elicit a confession from a charged suspect? Orange County Superior Court Judge Thomas Goethals oversaw Scott Dekraai's case and the hearings that led to the discovery of the secret records. In a March ruling, Judge Goethals referred to TRED as a "computer data base built and maintained by the Orange County Sheriff" that remained secret "despite numerous specific discovery orders issued by this court. Despite the growing controversy, Rackauckas says his prosecutors will still use informants, but they must be approved by a committee. "Gang violence is tough to get information about and tough to solve without informants," says Rackauckas. As the Dekraai investigation unfolded, Judge Goethals kicked the entire Orange County District Attorney's Office off the Dekraai case for misconduct, and accused two Orange County Sheriff's Deputies of lying on the witness stand. Other convicted killers are now asking for new trials, based on questions involving jailhouse informants and withheld evidence. At a recent hearing for one of those convicted killers, four Orange County "Special Handling" Sheriff's Deputies took the witness stand with defense attorneys in tow and pled the fifth. When asked by the judge what possible crimes their testimony could reveal, defense attorneys for the deputies said it could expose them to possible charges of perjury, withholding evidence and conspiracy to obstruct justice. The California Attorney General's Office is conducting a criminal investigation into the allegations. Attorneys for the deputies say they believe the investigation will ultimately prove their innocence, but invoking their right to remain silent is the "right call" until the investigation is complete. "Are bad people going to get out of prison or jail because of this?" Eyewitness News anchor Marc Brown asked Rackauckas. "Because of the use of informants? No," said Rackauckas. Critics say that's not true. Confessed killer Isaac Palacios walked out of jail a free man last fall on a plea deal. Prosecutors dropped one murder charge entirely and let him walk on another murder with "credit for time served." As part of his plea agreement, Palacios admitted he shot and killed rival gang member Randy Adame. The key informant in Adame's case? Oscar Moriel. "This only tells people you can commit a crime and get away with it," says Randy Adame's sister Jackie. Jackie Adame was in court last year and watched in disbelief as Palacios got his deal. "He turned around and smiled, like he didn't care," says Adame. "I just knew he was going to plead guilty and he was going to walk out, because they didn't have evidence. That's all they told me," says Adame. "But later I found out it was because of informants," Adame tells Eyewitness News. Erik Petersen was the Orange County Deputy District Attorney on three cases that unraveled, including the murder case against Palacios for Randy Adame's murder. A judge kicked Petersen off a separate Mexican Mafia case last year for not turning over evidence. When pressed again about discovery violations at a hearing this summer, Petersen testified that his view of the law that requires evidence to be turned over was "evolving" based on changing case law. Eyewitness News asked Rackauckas if his office will go back and review all of the cases Petersen prosecuted and cases connected to informants or those secret jailhouse records. "So what you're saying is, we need to go through all of the - it wouldn't just be Erik Petersen, it would be all the past cases where any confidential informant has been used and review it for that? We don't have the resources to do that," Rackauckas replied. "In a particular case, if there's some reason for the defense to think there might be a violation, we're happy to have them review it," Rackauckas said. Erik Petersen left his job with the District Attorney's Office this summer to pursue other opportunities. Petersen declined to speak with Eyewitness News, but previously testified that "there was never an intent to hide information." The discovery of the once-secret recordings of jailhouse informant Oscar Moriel add to the questions raised about whether or not all relevant evidence is being turned over to defense attorneys, as required by law. At one point, officers tell Moriel that if his tips on the murders check out, he may have to take the witness stand and his "paperwork" will be turned over to the defense. "This goes in a file that I have for you and gets locked in a safe that no one but I have access to and it never, ever comes out," Flynn told Moriel. A spokesperson for the Santa Ana Police Department declined to comment about the recordings, other than to say that Detective Flynn has retired from the department. Efforts by Eyewitness News to reach Detective Flynn were unsuccessful. INMATE MOVEMENTS TO ELICIT CONFESSIONS? Eyewitness News has obtained a June 2009 email written by Orange County Sheriff's Department Investigator Roger Guevara. In it, he requests and receives permission from then-Assistant Sheriff Mike James to "wire adjoining cells" at the Orange County jail to record conversations between Moriel and murder defendant Leonel Vega. Investigator Guevara writes that Santa Ana Police Department Detective Chuck Flynn "has requested help" in getting jailhouse informant Oscar Moriel and Vega together to "record any conversation they may have." Guevara goes on to say that Orange County Sheriff's Deputies have "come up with a plan to house both Vega and Moriel in adjoining cells" in hopes of gaining "valuable evidence." "Coincidental contact between a jailhouse informant and an inmate is no problem," says Erwin Chemerinsky, Dean of the U.C. Irvine Law School. "But when the Orange County District Attorney's Office and the Sheriff's Department structure the use of jailhouse informants to gain information from inmates that violates the Constitution." Rackauckas admits mistakes were made in Leonel Vega's case. His office agreed to vacate Vega's conviction and later offered a plea of voluntary manslaughter. Vega went from a sentence of life in prison without parole to getting out in about four years. Chemerinsky is calling on the U.S. Department of Justice to investigate. "How much did this occur? For how long a period of time? How many jailhouse inmates had their constitutional rights violated?" asks Chemerinsky. "We don't have the answers to those questions and we must." Oscar Moriel's own trial on attempted murder charges has been delayed more than thirty times as he continues his work as a jailhouse informant. "Moriel has been in custody since 2005 and hasn't had a trial yet. Is there a reason for that?" Eyewitness News anchor Marc Brown asked District Attorney Tony Rackauckas. "In general, if someone is working as an informant and they're expecting to get some benefit on their case, or cases whatever may be, then the prosecutor isn't going to prosecute that case and have that person sentenced while he's still doing his work," Rackauckas explained. Eyewitness News asked Rackauckas about Moriel's credibility as a witness, given that he's suggested his "memory" can change based on the "consideration" he's given in his own case. "Does that make him reliable? Oh, absolutely I wouldn't even begin to suggest that he's reliable," Rackauckas said. "I would not want to rely on an informant of the type of like what you're talking about, like Mr. Moriel for my livelihood or to do something important that I needed to, uh you know, like take care of my banking or something like that," Rackauckas told Eyewitness News. "But, you know, as far as whether or not he's telling the truth about various pieces of information, he certainly is in many instances and that federal task force believes so. And they've relied on him in a number of respects." Moriel is also an informant for the FBI and is expected to testify in the upcoming racketeering trial of Mexican Mafia leader Peter Ojeda. Eyewitness News spoke with Oscar Moriel briefly by phone. Moriel expressed concern about the controversy and his role in it. "People's constitutional rights have been violated," Moriel said. Moriel initially asked our producer to visit him in jail to further discuss the issue. He later called back with a change of heart, telling our producer not to come. In a strange and cruel twist of fate, Jackie's father, Emeterio Adame, was shot and killed six weeks after her brother's murder. The gunmen were apparently targeting Adame's neighbor. "I saw my father on the ground, he was trying to talk to me," Adame tells Eyewitness News. "It's still hard for me after many years to accept that they're gone." Jackie Adame has already watched Isaac Palacios, the killer of her brother Randy, walk out of jail a free man. Now, she's facing the possibility that the convicted killer of her father could also be released from custody. Once again, it all comes down to the alleged misuse of a jailhouse informant. "It's not fair what's going on," Adame says. "The law should look into them and open all these cases and find out what's going on and find out the truth. The truth needs to come out!" Adame addressed the court earlier this month at a hearing for Eric Ortiz, the convicted killer of her father. Ortiz was found guilty in 2014, but now he's pushing for a new trial, claiming that the jailhouse informant in his case was acting at the direction of law enforcement. "He was already found guilty," Jackie told the court in frustration. "My father was 54 years old. That was taken away from us." If given the chance, Jackie says she'd ask District Attorney Tony Rackauckas to "put himself in my shoes and see how we feel." "I wish and pray that I get justice, but I doubt that's going to happen," says Adame.